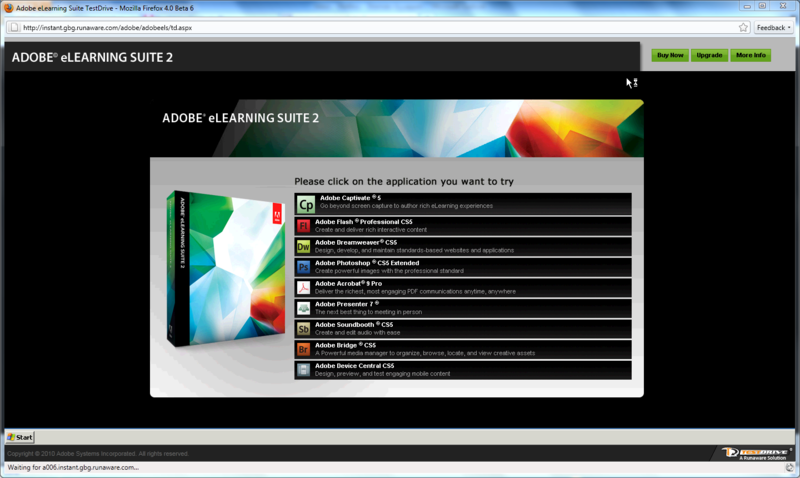 We’ve now made it real easy to try out the new Adobe eLearning Suite 2. You no longer have to be concerned about having to download and install large files in order to try out the Adobe eLearning Suite. Aslo, you no longer have to be worried about the limited period of the trial. You need 60 days or 6 months to evaluate the suite, feel free. We’ve partnered with Runaware to offer you a trial version online. Please note that a few of the features might not be available online (for example, audio recording is not possible in this hosted trial mode).